You may already be familiar with MNEK, his collaboration with Gorgon City ‘Ready For Your Love’ has recieved ample airtime, especially on the UK’s BBC Radio 1. His list of collaborators too is impressive and includes Rudimental, Disclosure, Duke Dumont and Sub Focus to name just a few. His latest track is a cover of Lumidee’s 2003 “Hit Single” Never Leave You (Uh Oh). 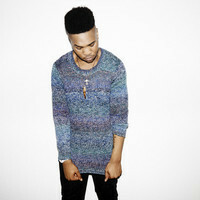 For those familiar with the origianal, MNEK has added depth, and arguably much better vocals to the track. The track is a throwback to 90’s popular r’n’b with a new imposed bassline the track is definaelty dancable and much better that the nostalgic original.